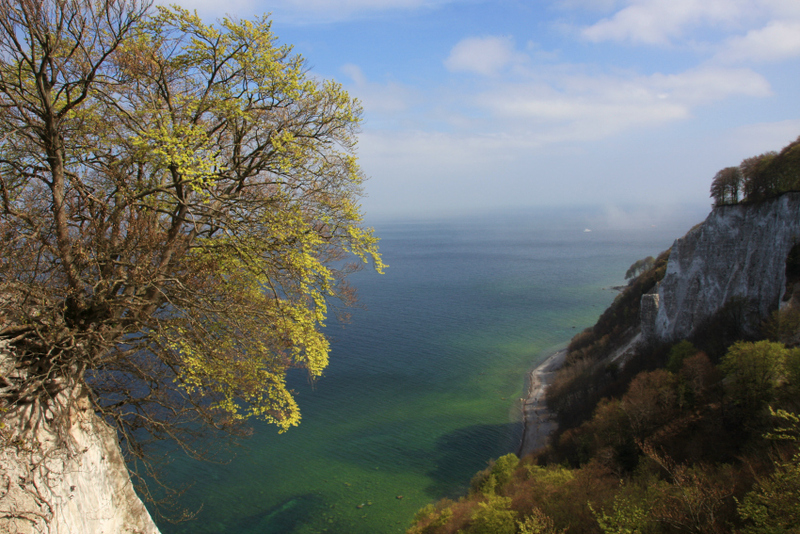 As you know, if you’re a regular reader of my blog, we visited Germany’s biggest Baltic Sea island Rügen a while ago, but with moving house and a super busy team at the European Diving Championships, I completely forgot to share some snaps with you. So here they are, some impressions of our trip to the Nationalparkzentrum Königsstuhl Rügen. If you’ve never been to the island before, you might not have heard about the Königsstuhl before, so let me tell you a bit about it. Königsstuhl simply means the King’s chair and plays an important part in the local mythology. According to legends, the name is derived from a custom of ancient times when the person elected king was the first to climb the cliffs from the sea and sit in the chair on the top. 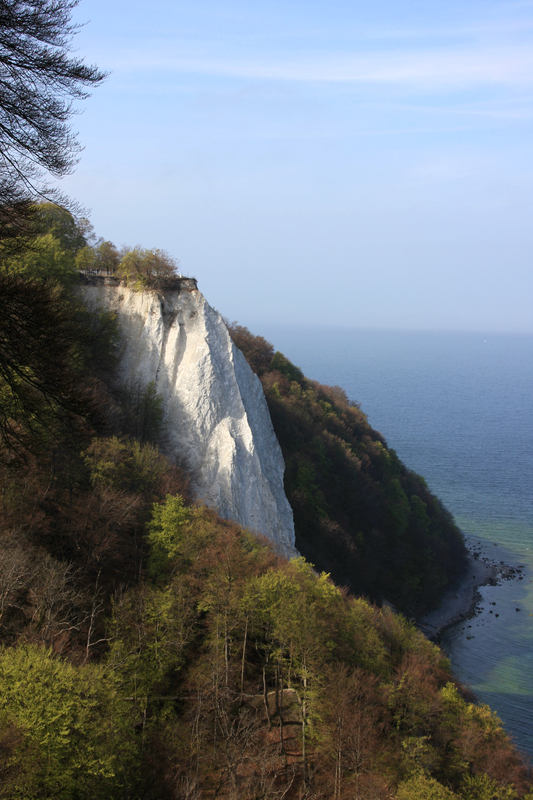 You reach the cliffs via the national park centre which hosts amazing nature exhibitions on over 2,000 m² and sits in the heart of 28,000 m² of ancient beech forest. 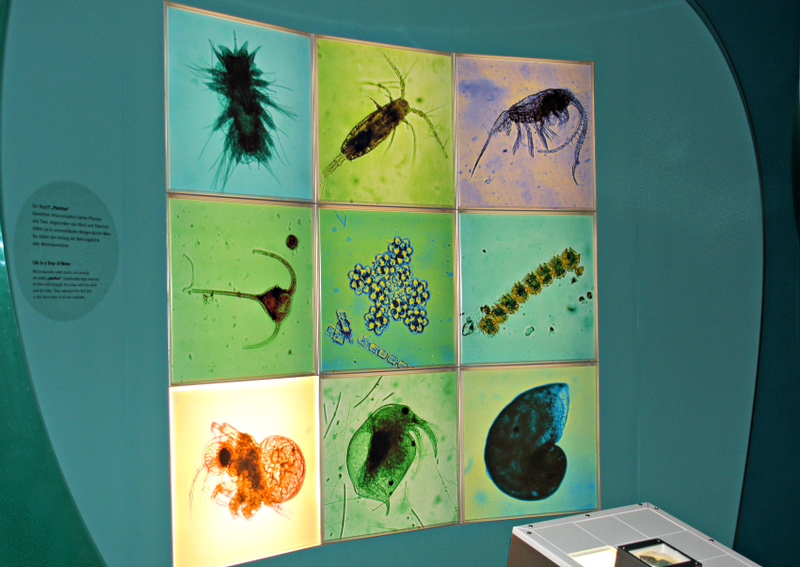 The exhibitions spread across four storeys and visitors are guided through acoustically staged rooms where they are introduced to the secrets of the national park. Audio guides are available in a number of languages and with a different focus for adventurers, researchers or romantics, with the latter being the perfect choice for those who love literature and language. 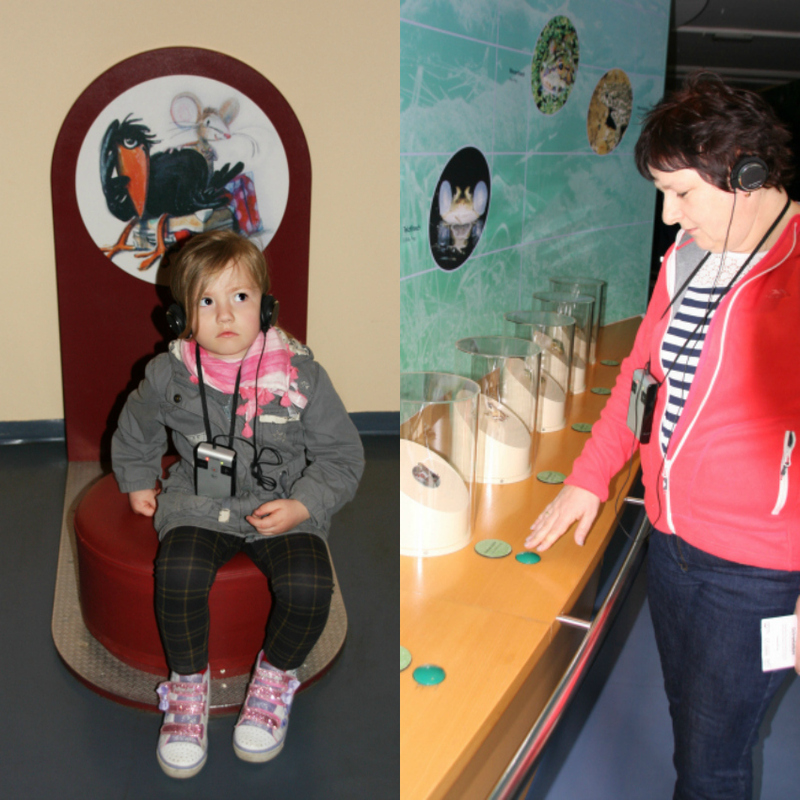 What I really liked is that there is an audio guide specifically designed for children. Despite Amy looking a little moody in the picture above, I can promise you that she really enjoyed the adventures of Mimi the mouse and Krax the raven. You enter a wormhole, dive into the shallow and deep sea, travel to the Ice Age and stroll along a rocky beach before climbing up the chalk cliff or descending underground with the smell of warm and earthy smell of humus in your nose. Further along, you can relax on the meadow or learn about freshwater inhabitants, the circle of life or the forces of nature. 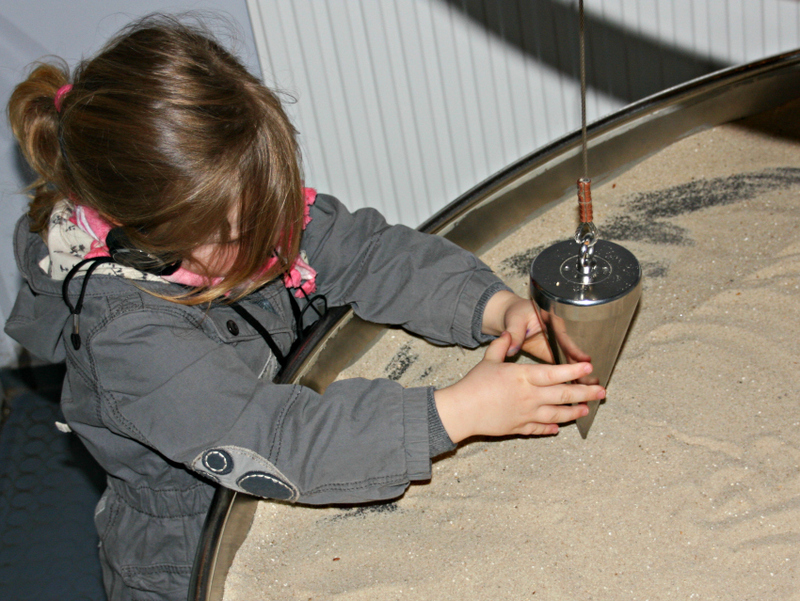 The exhibition, costing 4.50€ for children and 8.50€ for adults, is open from 9am to 7pm between Easter and 31 Oct and between 10am and 5pm from 1 November to Easter – something to consider, if you’re planning a visit. You should also know that you can’t park directly at the exhibition centre but have to catch a bus, cycle or walk there. 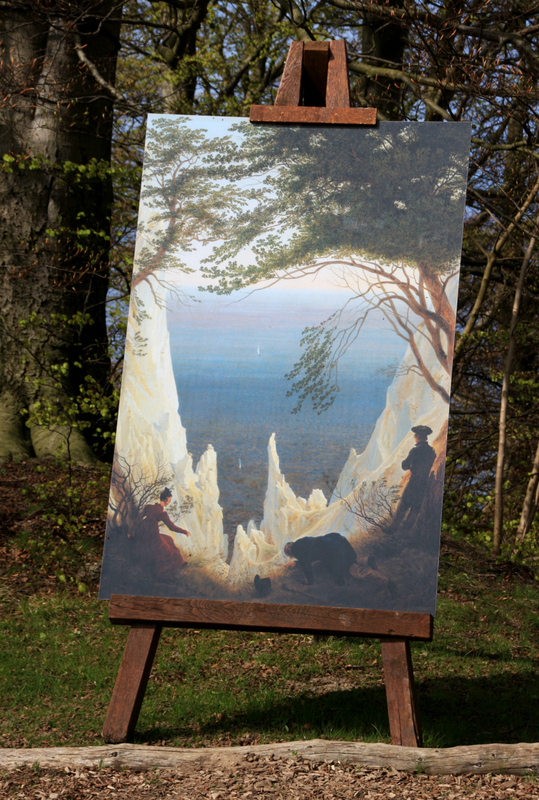 There’s a public bus leaving from Sassnitz (take the bus from Tierpark am Nationalpark to Abzweig Waldhalle) and a shuttle bus from Stubbenkammer car park in Hagen, which takes you directly to the exhibition centre. 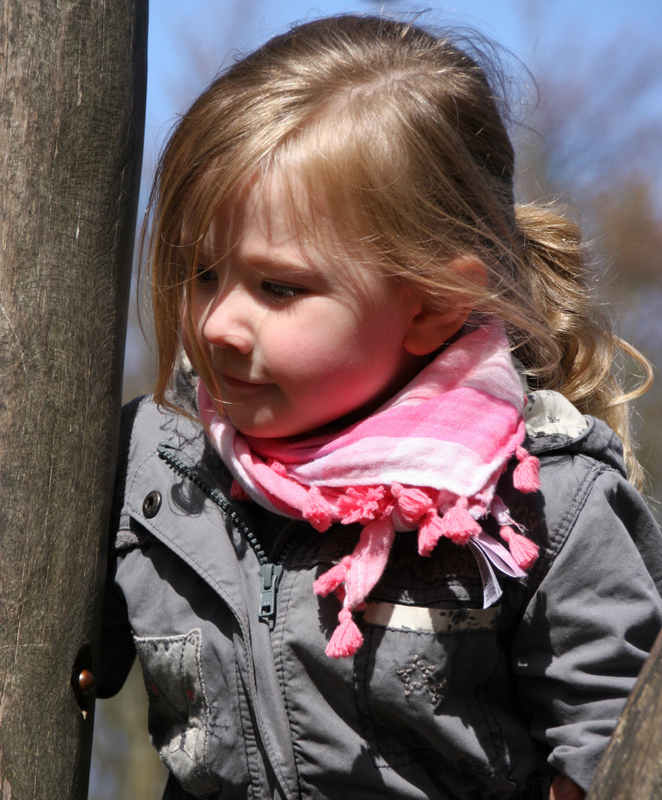 After a good two hours in the exhibition centre, Amy was in desperate need of some fresh air and playtime. 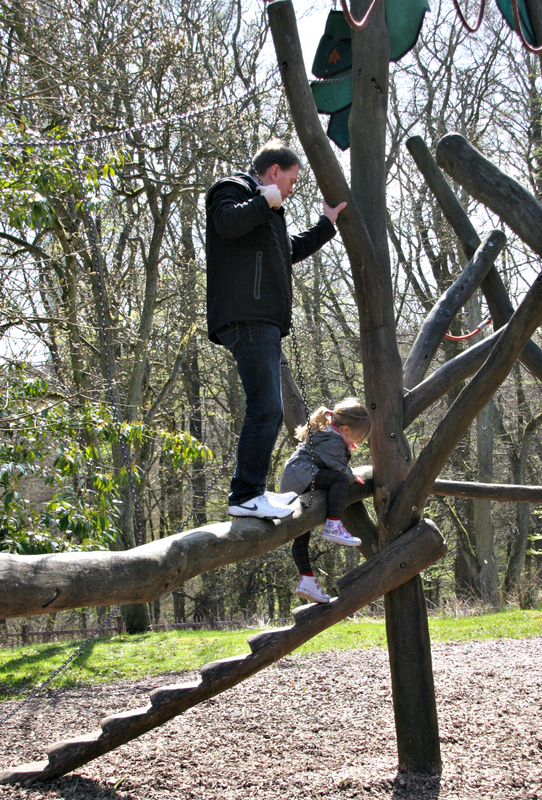 Luckily, the National Park offers a lovely wooden playground with plenty of sun lounges for parents in need of some me-time and a great climbing frame for little monkeys. Amy really enjoyed climbing with my dad, while my mum, sister and I soaked up the sunshine before heading through the park and over to the cliffs from where Caspar David Friedrich, probably Germany’s most famous 19th-century landscape painter, painted some of his most known pieces, such as the painting above, the famous Chalk cliffs on Rügen. Could he have chosen a more beautiful scenery than these 50 million-year-old cliffs created by erosion and consisting of fossils of sponges, oysters and sea urchins? 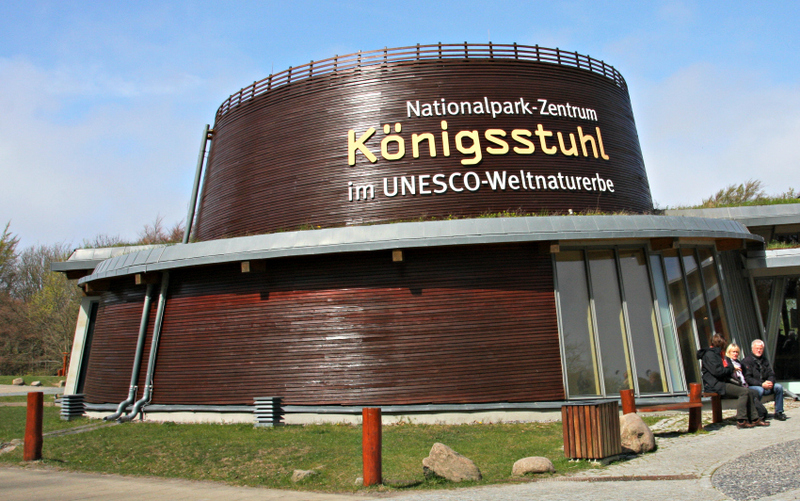 Have you heard of Nationalparkzentrum Königsstuhl Rügen before and is it somewhere you would visit with your family? Wow that cliff is spectacular! This sounds like an interesting place to visit – one day gadget when I get over your neck of the World I’ll be all over it. PS. Amy is growing so fast! There looks like there is so much to see and do here, and I like that it is reasonably priced to visit. Yes, it’s great value for money. Some places are a real rip off, but this one is worth every cent, especially when your kids are a little older than Amy. So much to see and do. You are right, I have never heard of it but it looks stunning! What a beautiful location – the views are stunning! Really interesting place! I would love to visit. There is such beautiful landscapes and many things to learn about! I would love to go there with may family! I have friends who moved to Hamburg few years ago, so it will be nice to see them too! I am amazed by the painting Chalk Cliffs on Rugen! The painting is really breathtaking! Thanks for sharing this wonderful experience you had! Greets!